Shot in Bali, the small village road is covered by bamboo that creates tunnel like section. 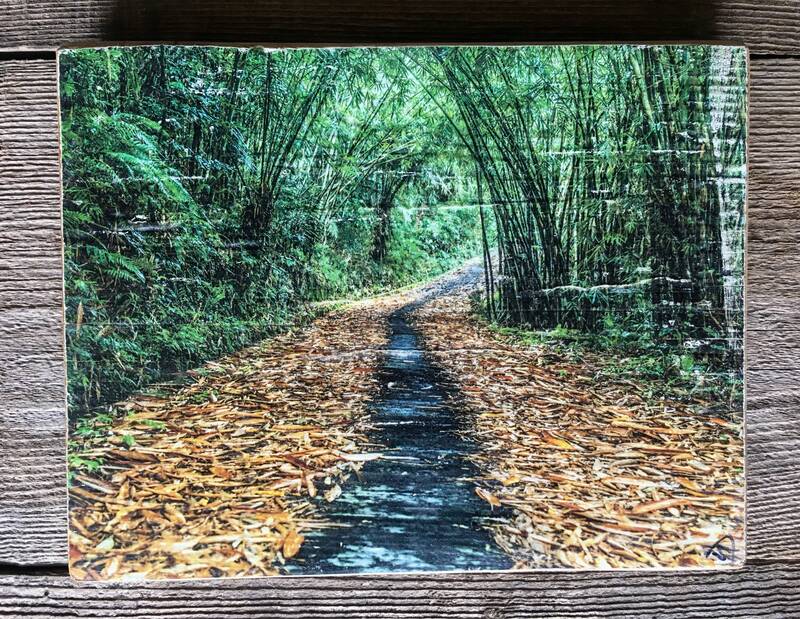 The image is transferred onto reclaimed wood. Its handmade process gives one of a kind result that makes each piece unique. Size: 10 x 8". Wall hanger included.